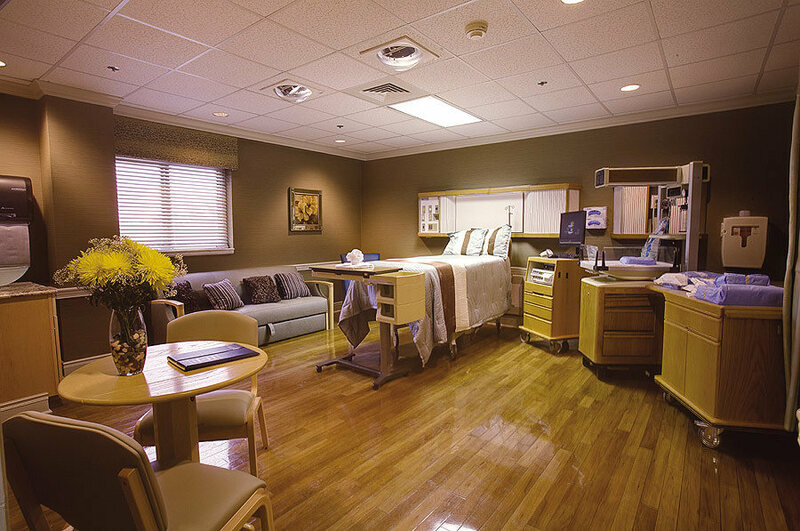 Southwest Regional’s Emma B. Holmes Women’s Center features nine beautifully appointed LDRP suites—four standard rooms and five deluxe rooms with kitchenettes and armoire/entertainment centers. All of our suites boast a matching bassinet, rocking chair, convertible sleeper love seat and private bath with whirlpool and shower. 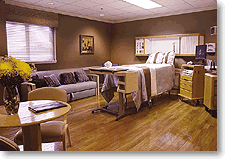 These family-centered maternity suites offer the ideal venue for all phases of childbirth: labor, delivery, recovery and postpartum. Rather than being moved multiple times during your visit, these suites enable you and your loved ones to share the experience in a single, comfortable, yet medically sophisticated environment. 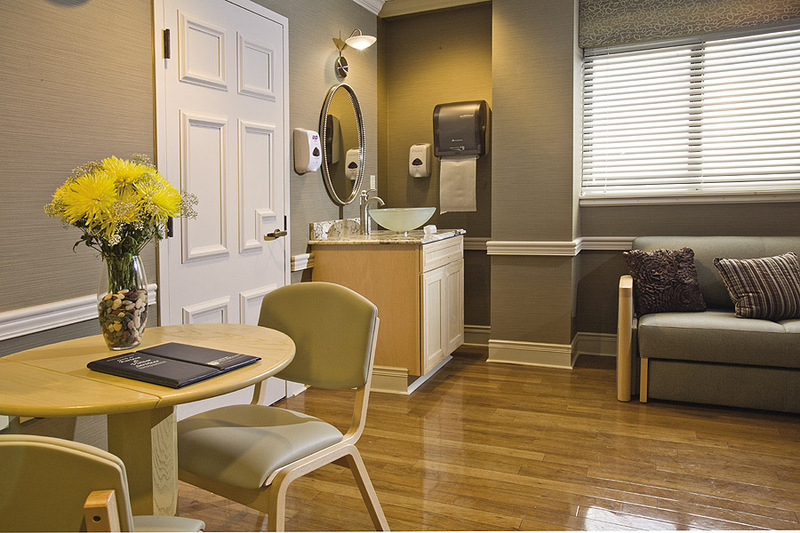 Ergonomically designed with the latest perinatal equipment easily accessible, our maternity suites offer the best of both worlds—a luxurious setting and the most advanced technology available. 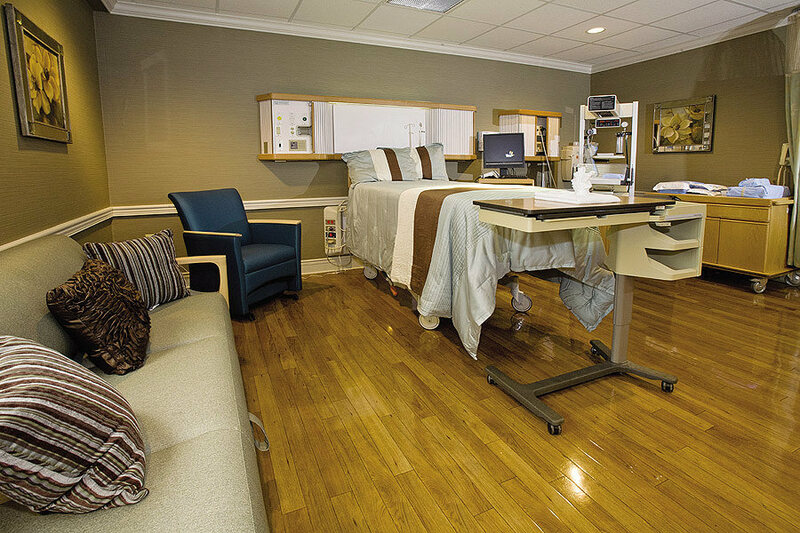 For example, each suite has the new Affinity® model birthing bed by Hill-Rom®. A combination chair/table/bed, this state-of-the-art apparatus enables freedom of movement and upright childbirth positioning. 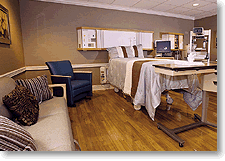 It replaces a labor bed, transfer gurney, delivery table, birth chair and recovery bed. 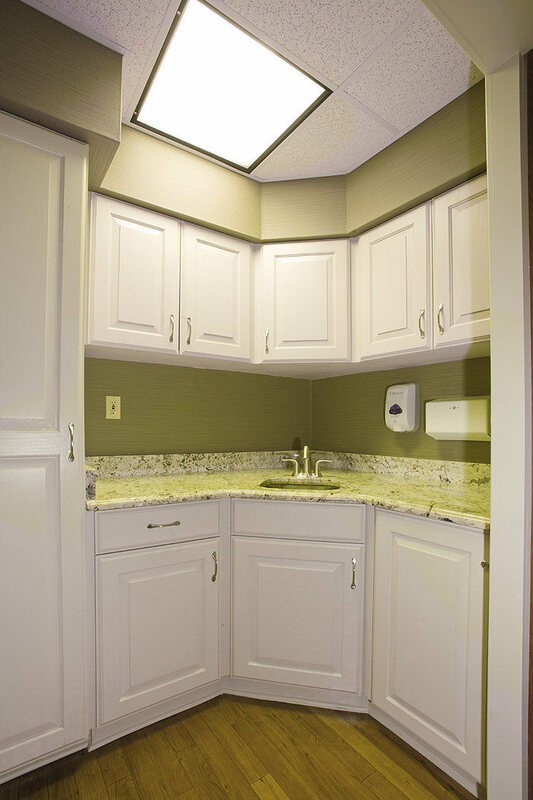 We also accommodate all forms of anesthesia in our LDRP suites. Our nursing staff is another integral component of the birthing experience at Southwest Regional. From providing personal care and answering questions to demonstrating helpful parenting techniques, our caring and considerate nurses will be there for you throughout your stay. This includes helping monitor the activities of visiting family members and friends, in order to protect your privacy and ensure you have sufficient time for rest and child- and self-care instruction. Our objectives are to ensure an atmosphere of quiet, restful bonding for our mothers and babies and to protect the newborns from infections. 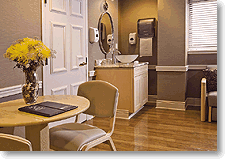 We encourage you to discuss the merits of our maternity suites with your physician and sincerely hope you choose to have your baby at the Emma B. Holmes Women’s Center.